Miko currently leads the Consumer and Market Knowledge (CMK) function for P&G Philippines. This function leads deep understanding of the consumers and markets that P&G serves, translates that into meaningful insights and drives strategic plans that will grow the business across brands and channels. 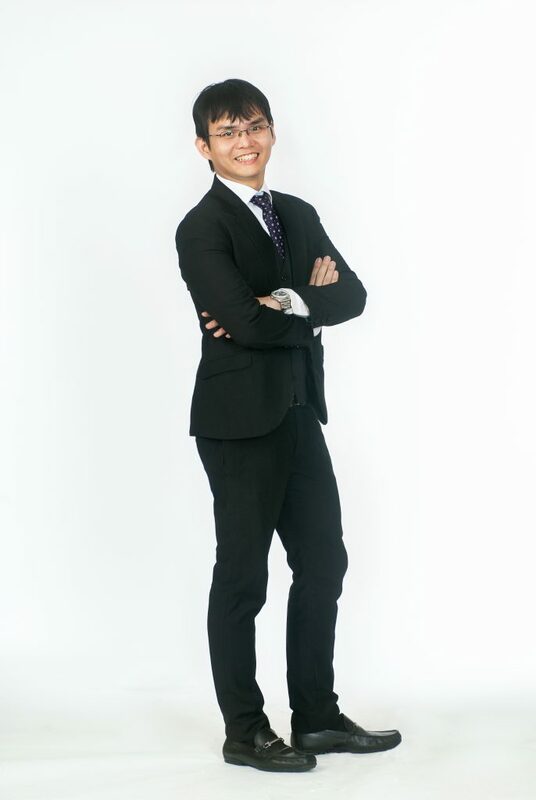 At 27 years old, Miko is the youngest member of the P&G country leadership team, youngest direct report to the P&G Philippines President and first Filipino CMK country leader in eight years. He has been well-awarded in the company, including being a three-time recipient of Recognition Shares (highest award given to junior and middle managers) within his first four years of joining P&G. In his prior role working on the P&G ASEAN business, Miko delivered strong business results by identifying opportunities and developing plans for execution. In Indonesia and Thailand, he identified the huge opportunity in minimarkets and convenience stores then quickly translated these into guiding principles that have been reflected in their in-store executions. He increased the number of P&G products in the baskets of retailers by an average of +1 product in the same period. These led to high double-digit sales growth and value share growth year-on-year. He also identified go-to-market opportunities for their ASEAN Distributor Operations business and enrolled Sales Leadership to execute the direction and interventions. He developed the guide for successful trade promotions and framework for sequencing key drivers in traditional stores which enabled distributor teams to know which to prioritize first. After the interventions, there was a turnaround in the sales results, with sales growth rate doubling in the second half of fiscal year 2013-2014 versus the first half. As he took on the Philippines CMK leadership role, he quickly led the strategy review process for P&G Philippines, using a multi-lens framework that clearly articulated the biggest growth opportunities. Miko has incredible passion for people development. He was recognized as one of the Model Coaches for Consumer and Market Knowledge in Asia, in part for his dedication in developing Filipino talent. He was also awarded as the Most Promising Trainer in P&G Asia for the corporate trainings that he has run in the Philippines organization. On weekends, Miko teaches at the Ateneo de Manila University, where he is consistently ranked among the top professors in the John Gokongwei School of Management. He has also been invited to speak at a broad range of external events, including the APEC SME Leadership College, the American Chamber of Commerce Youth Leadership Program, the PAG-IBIG National Marketing Conference and research conferences in Singapore and Kuala Lumpur. Miko has always believed that at its core, the work that they do in CMK is business development – for only with a delighted consumer can a business thrive for the long-term. Marketing Director – Hair Unilever Philippines, Inc.
Unilever Philippines is home to one of the biggest Hair Care businesses in the country. As Marketing Director, Dorothy developed the Unilever Hair Strategy & Financial Growth Model which enabled the team to differentiate, prioritize and maximize growth. Knowing that each brand had specific challenges, Dorothy focused on building brands based on 3 Principles: (1) Stay relevant by having a deep understanding of the consumer (2) Max the mix by leveraging on key 6P advantage/s (3) Rise above the clutter with magical brand experiences. Doing these have led to the successful Cream Silk Reborn, Sunsilk Turnaround, Dove Supergrowth and TRESemme Premiumization, enabling Total Unilever Hair to grow! Cream Silk Reborn: Amidst challenge by competitors, Cream Silk re-established itself as the gold standard in conditioners by reinforcing its functional superiority through “Hair Reborn Technology” and its beauty credentials through upgraded imagery. To bring this to life, Dorothy worked with the team to deliver Cream Silk Hair Sonata: The World’s First Hair Symphony Orchestra where Cream Silk-conditioned 10x-stronger human hair violin bows were used to create music and Cream Silk Beyond Beautiful Campaign which launched an unprecedented 150 Filipina brand ambassadors. Cream Silk is now growing with a strong three-year Compound Annual Growth Rate (CAGR), remains to be the number one hair brand and continues to drive the category. Sunsilk Turnaround: Amidst waning brand relevance, Sunsilk re-connected with the Mass consumer by focusing on her need for smooth and fragrant hair and communicating this in a fun and joyful way. To bring this to life, Dorothy led the team to develop Sunsilk’s Bangong Nakakagigil Campaign which leveraged on the brand’s “Fruity, Floral Fragrance” showcased through the Hairkada adventures and magnified across channels. Sunsilk is now growing with an amazing three-year CAGR, reached its highest-ever shares and overtook competitor in Brand Equity Score. In addition, Sunsilk Pink is now the number one shampoo variant in the Philippines. Dove Supergrowth: Amidst limited understanding of damage, Dove focused on consistently making Damage relevant while building its Damage Care credentials. To bring this to life, Dorothy and the team developed Dove’s Damage Care Campaigns year-on-year including the latest “Go Play with your Hair. Dove repairs Damage in just 1 minute”, supported by an integrated media plan. Dove is now growing with a great three-year CAGR, reached its highest-ever shares and is differentiated in Damage Repair attribute. Today, it is one of the fastest growing Dove Hair markets in the world. TRESemme Premiumization: Amidst established players, TRESemme differentiated itself by focusing on the Premium Consumer and her more sophisticated hair needs while building its Salonization credentials through the launch of “Keratin Smooth”. To bring this to life, Dorothy led the team to stage TRESemme Runway Ready: the country’s 1st ever backstage fashion show which showcased salon professionals applying TRESemme products on models through a live, choreographed hairstyling show on the runway. TRESemme is now growing with a fantastic two-year CAGR, the no. one hair brand in key Personal Care stores and e-Commerce sites and gaining credibility among beauty experts. With a solid strategy, a clear roadmap and flawless execution, Total Unilever Hair is now growing consistently fueled by strong performances across key brands, growing competitively reaching its highest-ever shares and sustainably with improving brand equity scores – ensuring Unilever Hair is ready to grow not just today but more so, for the future. Sensodyne’s vision is to create a future where every Filipino is sensitivity-free. In the Philippines, 9 out of 10 Filipinos suffer from sensitive teeth/pangingilo. However, majority of them do not proactively manage this condition because they do not see the relevance of using a specialized toothpaste as they think that the problem is not serious enough. Therefore, Sensodyne was given the task to drive and intensify relevance of managing sensitive teeth to address the urgency to treat the condition. The brand was tasked to effectively communicate that sensitive teeth does have a negative impact to everyday life, and addressing it will make each one now fully enjoy the food and enjoy the good times that go along with it. As an action, Sep launched the Sensodyne “Say No to Ngilo” Relevance campaign in 2014 and further intensified this in 2015. The campaign involves a strong, compelling and integrated marketing communications consisting of high impact consumer, shopper and expert programs to drive conversion and brand preference. To win with consumers, Sep launched new above-the-line advertising campaigns driving the proposition of food and social enjoyment without sensitivity. He set up the Sensodyne digital and PR ecosystem, and strategic digital partnerships that drove category leadership online. Furthermore, Sep championed effective on-ground activation programs that brought the brand and dentists to the people to drive education on the condition as well as purchase persuasion. To win with shoppers, Sep helped drove and established the right in-store fundamentals in place. This involved ensuring optimal distribution in key channels, maximizing availability by having the right SKUs in the right stores, driving impactful brand visibility and building the specialized therapeutic category in-store, and promoting offtake-generation through effective shopper programs and activities. To win with experts, Sensodyne leveraged on the power of dentists to drive proactive diagnosis of sensitive teeth in their clinics while leveraging on GSK science and brand differentiators to strengthen recommendation of Sensodyne as the best clinically proven solution. Key expert programs led to fortifying the scientific leadership equity of the brand with dentists who are top influencers for consumer choice. As a result, Sensodyne Philippines achieved the fastest net sales growth in Asia at +59%. It drove market-beating consumption growth – 24x faster than the category. It led to 3x brand penetration increase and 2x brand equity improvement. Sensodyne also now owns the sensitive teeth or “pangingilo” space in the hearts and minds of Filipinos. Sensodyne was able to further solidify its no. one position in being the top choice for dentists for sensitive teeth. Key elements of the campaign were also highly recognized and gained multiple awards: South East Asia PR Campaign of the Year Gold Award by the 2015 Asia PR Week Awards, GSK Global Digital Competition Winner, and Watsons Best Beauty Mall Animation of the Year Award. Due to stellar business results and individual performance, Sep was awarded multiple distinctions as well: GSK Philippines “Employee of the Year”, GSK Philippines Global Employee Award for Team Excellence, and GSK South East Asia Region Global Employee Award for Individual Excellence. In his new regional role, Sep now oversees the sensitivity and acid erosion category for the entire South East Asia region to further drive the mantra for Asians to say no to ngilo, and say yes to those great little moments. Marketing Director – Skin Unilever Philippines, Inc.
People are beautiful. All people are beautiful. And as one of the leading Skin Care companies in the country, Unilever has a portfolio of brands that enable women to achieve their beauty potential – Ponds, Dove, Eskinol, Vaseline, Lux – a brand for every woman and every skin need. But the irony is that, in the Philippines, only 4 out of 10 women use face care. Why? Most Filipinas think that beauty is the birth right of the affluent few, those lucky enough to be born with good genes and mestiza features. Most women would say, “hanggang dito na lang ang beauty ko”. Indeed, they have put a glass ceiling on their beauty. Mian wanted to change that. She believes that every woman can be beautiful. By making a little bit of effort to take care of her skin, and without necessarily spending a fortune, every Filipina can be more beautiful than she has ever imagined. And so Mian leveraged her portfolio of brands behind this Purpose. In her Mansmith YMMA entry, she shared three case studies on how making brands relevant, authentic, and talk-able can inspire women to embrace their beauty. And in turn, deliver business growth. PONDS. As the number one face care brand in the country, Ponds challenged women by saying “may igaganda ka pa!” Ponds showed the transformation stories of the Philippines’ “most beautiful faces”, in a campaign headlined by Toni Gonzaga. The aim is to inspire women to aspire for beauty and take action to care for their skin. This resulted in the brand’s highest ever share, and the fastest growth of Ponds in history. ESKINOL. Mian wanted to reach out to the lower income dalagas in the rural areas, believing that they too should have access to skin care. Eskinol promised “linis-kinis” skin, with just a cotton ball, and less than one peso per day. As a result, the brand achieved its highest growth in recent history, with its “walling” campaign being cited as one of the “most talked about ads” in local news. DOVE. A brand whose mission is “Real beauty from real care”, Dove showed how a simple change in one’s soap can change the moisture level of one’s skin, and eventually a woman’s self-esteem. Not only did the brand become the no. one player in its segment, Mian is more proud of the fact that the brand was able to launch the Dove Self Esteem Program touching the lives of thousands of young girls by educating them on confidence and self-respect. Beauty for every Filipina. Regardless of age, income, skin need, and social status, Mian believes everyone deserves the confidence of being beautiful. As she says, “lahat tayo may igaganda pa.” This is Mian’s personal purpose, and this is the reason behind the brands’ success. 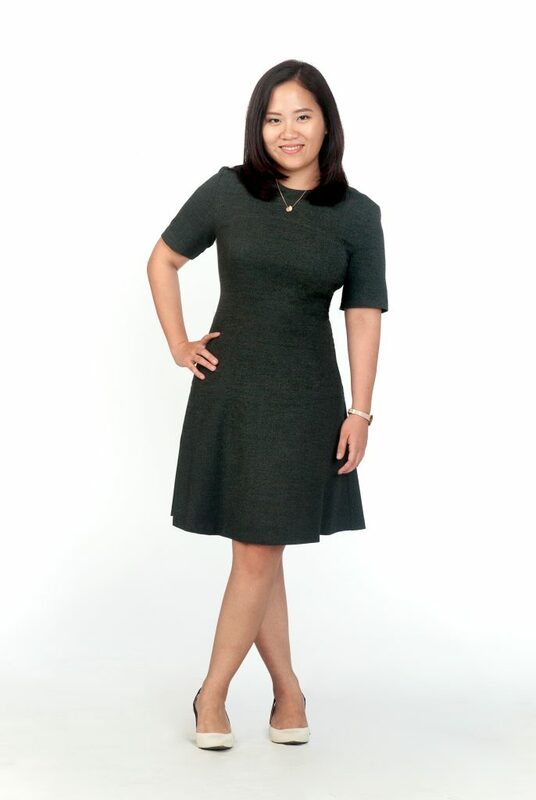 Kris is a homegrown talent of Johnson & Johnson (J&) joining the company in 2006 as a Management Trainee. She has had stints handling different brands within the J&J’s Women’s Health portfolio with a proven track record of back-to-back high double digit growth, business recovery and marketing with purpose. She became the Asia Pacific Regional Franchise Manager of Carefree in 2011. Upon returning back to local marketing, she handled one of the biggest brands of J&J PH’s business – Johnson’s. Johnson’s is the dominant market leader in various baby toiletry categories. While penetration and usage remains high in the baby segment, there is a need to look for other sources of business to further grow an already dominant brand – targeting growing kids. Johnson’s has identified playtime as a relevant occasion in building usage among kids. But, while Johnson’s has already armed moms with three product platforms for kids, kids are still not playing. The biggest barrier of which is that moms are preventing their kids from anything that will distract her kids from achieving academic excellence and play is perceived to be such. The solution is to make moms understand that playtime is important – that there are skills and lessons that one can learn while playing, that are just as important as the things one can learn in school. The big idea is to promote Johnson’s Playdays: Di Lang Laro ang Laro, advocating one hour of active play everyday to have healthy and well-rounded kids. Kris forged a partnership with DepEd and Play Pilipinas to push one hour of active play everyday. Johnson’s donated a playground built by J&J employees themselves together with their partner agencies in Montalban, Rizal, one of the less fortunate cities in the Metro. Johnson’s Baby (JB) powder sales grew by 22% during the campaign period. The campaign also helped maintain its market share at a strong 84.2%. As a result, JB Powder became the single biggest brand in J&J PH in 2013 and led powder recovery in 2012 by +5% versus previous year. Kris continued the campaign with the launch of a new harder-working line of products: The Active Fresh Range with a unique technology that bursts fragrance upon contact with sweat, followed by world-class activations. Under the harsh unwelcoming sun of Manila, the first-ever “Shadow Playground” was built designed to work with the path of the sun with special plates casting different games on the ground while providing shade. Another is the “Therapy Playground”. Amidst the damaged playing fields of Tacloban, J&J built a playground that could help heal the traumatized kids. The lead product of the line exceeded targets by 37% while the entire line exceeded targets by 10%. The Play campaign is one of the most successful campaigns of J&J so far. It has traveled to other countries such as Thailand, Indonesia, Malaysia, etc and cited as a Global Best Practice. It has received back-to-back Asia Pacific wins in the Global James Burke Awards for Integrated Communications in 2013 and Strategic Partnerships in 2014. It was also recognized by various external award-giving bodies such as Tambuli, Araw, The Quill, Ogilvy PR Global Excellence Awards, PANAta, Kidlat and Anvil Awards. Finally, Kris was ranked #21 in Adobo’s List of Creative Marketing Managers in the Philippines for leading award-winning Johnson’s projects in 2013-2015. Mea’s task was to turn around GSK Malaysia’s Urology portfolio with the products Avodart, Duodart and Harnal. At that time, branded competitors were outpacing GSK while generic brands were also accelerating. The challenge was to turnaround the declining portfolio by expanding access. Mea’s main strategy is to identify specific opportunities for the three brands and revitalize the positioning. This led Mea to engineer the biggest market-reshaping in the Urology Category – moving Benign Prostatic Hyperplasia (BPH) management from mere alleviation of symptoms alone, to prevention of disease progression built on driving awareness. In so doing, Mea challenged the norms of patient and physician expectations on treatment outcomes. This served as the heart of the repositioning of GSK’s Urology portfolio and ultimately reshaped what used to be a symptom-relief oriented market to a need-based customized patient-focused approach. To support this, Mea accelerated penetration by building route-to-market infrastructure, and winning at bottom of the pyramid. The key to achieving this milestone was driving key performance indicators and trackers to monitor progress and map out the necessary support needed from internal stakeholders to drive government programs. Mea developed and rolled-out the first-ever disease severity and patient profiling focused communication campaign and designed focused communication on the relevance of 5-ARI treatment. Intensive education activities on how to diagnose were done through workshops and in-clinic detailing. Prostate awareness activities were also conducted throughout Malaysia with partner urological societies and foundations. At the end of her tenure, Mea turned around GSK’s Urology portfolio by developing pioneering communication and disease-awareness programs, based on deep patient, physician and disease understanding. Other milestones include: (1) highest-ever shares achieved: Posted highest-ever shares built on massive gains (1100 basis points improvement from 29% share in 2012 to 40% leadership share in 2014) in the total Urology market (2) record-breaking shares: Turned around GSK’s BPH portfolio from years of free-fall, delivering the highest volume share increase in BPH in the past five years (1400 basis points improvement: 47%). This is achieved by making Avodart and Duodart combined the first 5-ARI brands to overtake the longest running volume share leader (3) the route-to-market win propelled GSK volume share in the government channel by 1300 basis points improvement in two years (46% versus 30% in 2012) through accelerated growth (15%). In the end, Mea delivered results that surpassed expectations, transforming her portfolio from fast eroding to record breaking in just two years. Assistant Vice President – Consumer Marketing Manager Nestle Philippines, Inc.
Kakam proves that the Pinoy marketer is world-class! During his expatriation in Malaysia as Senior Brand Manager managing the MAGGI 2-minute Noodles (M2MN) portfolio, he delivered exemplary performance leading a category that has the highest sales and profit contribution to MAGGI, and the second biggest sales contributor to total Nestle. In just three years, Kakam turned around M2MN from years of decline, to a period of unprecedented growth! During his three-year stint, he developed and led execution of effective marketing initiatives that delivered significant increase in revenues and market share. Brand health ratings have grown strength to strength as a result of his contribution to strategic planning and leadership execution. In fact, at the end of his tenure, M2MN: (1) posts highest-ever market share, and continues to maintain upward trajectory clearly indicating strong fundamentals behind sustained growth – 60% as of MAT Sept 2015, (2) drives category growth after years of free-fall, with M2MN clearly driving growth at 5x versus category, (3) breaks new highs in brand health posting highest-ever loyalty scores at 95% versus previous baseline at 72%, (4) over-achieves top-line sales and bottom-line profit commitment, delivering 6% CAGR (2012-2014) versus flat category (2012-2014) amidst more intense competitive intensity, and (5) rapidly opens new noodles segments by delivering the fastest new product and campaign go-to-market in Nestle Malaysia history (record-breaking 100 days versus standard nine months from concept to shelf and media launch) resulting to 6% net incremental sales and 140bps market share gains (FY2013). Kakam also demonstrated creativity and intimate local integration in developing innovative communication programs, based on deep local cuisine, consumer and shopper understanding, earning recognition across the marketing and advertising industry in Malaysia: (1) PERSONAL TOUCH: Best Use of TV, Malaysia Media Association (MMA) 2013 (2) PERSONAL TOUCH 2: Best Idea – Print, Advertising+Marketing Magazine’s MARKies Awards 2014 (3) BIG KARI: Best Idea – Integrated Media, Advertising+Marketing Magazine’s MARKies Awards 2014 (4) BIG KARI: Best idea – TV, Advertising+Marketing Magazine’s MARKies Awards 2014 (5) BESTNYA KAWEN: Bronze, Malaysia Effies 2015. He has high learning agility, resilience and demonstrated excellent leadership during his tenure. He has developed capabilities in managing impact of marketing initiatives within the value chain, with good focus on creating profitable value. Kakam has since repatriated taking up the challenge of looking after the Bear Brand Powdered Milk Drink portfolio. At the core, Kakam believes that marketing is more than just gaining shares, increasing profits or winning awards; he believes that at the heart of marketing is the deep desire to delight. Thus, it is never about marketers or their brands, it is about making a positive change. Sr. Brand Manager Nutri-Asia, Inc.
Datu Puti is a brand beloved and treasured by many Filipino households. For 40 years, it has been almost quite literally a household name, as it is a staple in every Filipino pantry whether here or overseas. But as with every heritage brand, this strength is often shadowed by a risk – that of being taken for granted, of being outdated, of being irrelevant to the emerging, younger generation. Such was the risk that Gretchen decided to address head on by mounting a full-fledged pre-emptive strike through the Datu Puti “Pares” campaign. Equating the perfect pairing of vinegar and soy sauce to the joys and “kiligs” of finding your perfect pares. The “pares” campaign took inspiration and was deeply rooted in Filipino values, our fervour for love teams, and our love for food and music. The campaign characterized vinegar and soy sauce through a real-life couple (Vin and Oyo) and told their love story in true Pinoy fashion, through the universal languages of love and music. The campaign celebrates the things that are just better together and things that are just meant to be! The perfect blending of the functional message and romance was evident and precisely executed in channels that got the message across to the right target market. Things were done differently as Episodic TVCs that told the love story of Vin & Oyo were launched together with the catchy “Pares” song that highlighted perfect pairings in its lyrics. To further entrench the brand in today’s generation, Gretchen launched Datu Puti’s first-ever salvo into the digital world and was able to successfully cut through the cluttered messages online by: (1) creating content that entertained (the brand featured love stories of real couples in short webisodes), (2) by engaging netizens to be part of the campaign (couples were invited to create and perform their own versions of the Pares song online), and (3) by being a tool to find true love (Datu Puti launched its first-ever mobile dating app that allows you to find that perfect pares through the Pinoy custom of singing a “Harana” to woo the other). All of this without any hard sell, but rather insidiously seeping into the minds and lives of their consumers led to organic responses and netizens welcoming the brand with open arms. To further engage the millennials and teach them a thing or two on modern-day cooking, Gretchen also launched Datu Puti’s Adobo movement campaign centered on pushing for the official declaration of Adobo as the country’s national dish. Engagement and support were solicited online through an independent petition site (change.org) where netizens can sign-up and help push for the movement. Not only were record-breaking sales achieved, but Gretchen was able to create a change in habit by creating systems-use between vinegar and soy sauce while making relevant a 40 year-old heritage brand amongst today’s generation. The first time a condiment brand is being talked about, being shared, being sung about, and truly being loved in this modern day and age. Today, the brand is associated with love and with it, a totally new millennial market supportive and fully engaged with the brand, slowly learning the fundamentals of modern day cooking. Thanks to Gretchen, the future of Pinoy food and condiments in this new age is indeed bright. For the past three years, Cholo has been part of the team driving McDonald’s business growth and brand relevance. Cholo opened the year 2013 with “Hooray for Today!”, a marketing campaign that spread positivity. The campaign won Bronze for Innovative and Integrated Media at Tambuli Awards 2014. In the same year, he spearheaded marketing for McDonald’s Philippines’ first National Breakfast Day, giving away 1,000 McMuffins for free in every McDonald’s restaurant, a region-wide activation held simultaneously in Asia Pacific, South Africa and the Middle East. At the end of 2013, Cholo helped grow McDonald’s Breakfast sales by 23%. After his success in Breakfast, Cholo’s role was expanded in 2014 to include McDelivery and Drive-Thru. He launched the McDo PH mobile app and created a campaign that positioned McDelivery as a solution for uninterrupted precious moments. The TVC “Princess Dad”, depicted a Filipino dad bonding with his two young daughters and McDelivery ensured uninterrupted bonding moment. During the campaign, McDelivery sales spiked by 11% versus same period previous year. McDo PH App reached sales equivalent to a McDonald’s store. Moreover, “Princess Dad” won Gold for Single Medium TV Category, PANAta Awards 2015 and Gold for TV, Kidlat Awards 2015. In 2014, Cholo took a different spin on the worsening traffic conditions in the Philippines and positioned McDonald’s Drive-Thru as a “welcome detour” through the Lucky Drive campaign – motorists with vehicles matching the lucky color of the day were rewarded with free treats. During the campaign, Drive-thru sales grew by 20% versus same period previous year. Lucky Drive won Special Award for Outstanding Business Results at the Boomerang Awards 2015 and Bronze for Integrated Campaign at the Kidlat Awards 2015. On March 24, 2015, Cholo headed McTollbooth, a campaign that transformed two tollbooths in Manila’s major expressways to mimic McDonald’s Drive-Thru. Motorists were surprised with free breakfast and waived toll fees. This grew Drive-Thru sales by 16% during the campaign. McTollbooth also won Gold for Effectiveness Campaign at the Boomerang Awards 2015, Crystal for Integrated Category at the AdStars Busan Awards 2015 and Silver for Promotions and Activation at Spikes Asia 2015. In 2015, Cholo was promoted to Senior Product Manager and his role was expanded to include McDonald’s Desserts. McDonald’s saw an opportunity in the most anticipated Mayweather and Pacquiao fight, which happened in May. The clever word play “Beat the May Weather” was used as the creative handle and was released during the peak of the pre-fight buzz. The “Beat the May Weather” fever resulted in being the top trending topic on Twitter Philippines, with over 24.6 million impressions. It also won Bronze, for both Digital and Effectiveness Campaign at the Boomerang Awards 2015. After the campaign, Cholo doubled sales of Oreo McFlurry, a first in McDonald’s Philippines history, making it one of the most successful summer campaigns McDonald’s Philippines ever had. Currently a Senior Product Manager, Cholo is excited and driven to pioneer innovations for McDonald’s Convenience Platform. Under his watch, McDonald’s Convenience Business grew by 25% in 2013 and 15% in 2014, increasing its contribution to company sales by four percentage points (from 2012). For over 60 years, ABS-CBN is the leading media network in the country. But with the emergence of digital, it was critical for them to adapt to the evolutions of online communication. In September 2013, ABS-CBN’s Digital Media Division (DMD) was formed to meet the demands of the digital industry. With Elaine’s 11-year experience in digital production, strategy, and advertising, she was invited by ABS-CBN to head DMD’s Digital Operations to help in the digital transformation of the company. Elaine believed that DMD must streamline their efforts to do less work but with greater impact. Her first priority was to address the organizational design by laying down the digital foundations of the company: (1) champion company-wide strategic thinking in digital, (2) establish clearer role and accountabilities and ownership, and (3) ensure cost-effectiveness and operational efficiency. ABS-CBN has more than 20 lines of businesses, and each business has to be digitized. Elaine created a digital organization that would fit with the culture of each group, creating an agency and consultancy set-up that would allow the different products and units to seamless cross over to the digital platform. By working with the HR groups and setting up a digital academy to train and promote digital thinking, ABS-CBN has initiated its process to transition to the world of digital. As a result of ABS-CBN’s support in Elaine’s proposed organizational changes, they were able to gain several accomplishments. ABS-CBN became the number one website (number one channels on Youtube) and social media publisher in the Philippines. It also gained recognition in various local and international awards for Pinoy Big Brother: Online Bahay ni Kuya, Pope Visit: The Book of Thanks, Isang Bayan Para Kay Pacman, and Revlon Love Is On. The company also explored new business opportunities by launching Stellar: the first ever celebrity social media agency, Push Awards: the first celebrity awards event for ABS-CBN, Chicken Pork Adobo: ABS-CBN YouTube Multi-channel Network and WeStory, the in-house digital agency for branded storytelling. As a result of the company’s continuous improvements on digital, ABS-CBN was able to drive a 136% digital revenue lift in 2013, sustaining and growing its revenue contributions year-on-year, with another 30% digital revenue lift in 2014, and another double digit growth in 2015. Now, digital agencies and brands have been partnering with ABS-CBN’s digital team in creating great digital work that uses ABS-CBN content to communicate to their target market. Elaine’s vision for the digital ecosystem helped ABS-CBN to focus on building relevant digital platforms, guided by data mining audience strategy. With this data, they were able to study digital consumers and identify digital business. In two years, ABS-CBN digital was able to solidify its presence on digital, cementing its leadership across all media. At the same time, Elaine’s recommendations on analyzing social media listening tools became a critical contribution in managing PR crises of celebrities, or in monitoring the performance of individual shows. Elaine and DMD’s framework made it possible to prioritize company efforts through proper content targeting to deliver greater value for consumers and advertisers. With DMD’s army of digital specialists, Elaine is expected to lead ABS-CBN in its quest to attain success in the digital frontier. 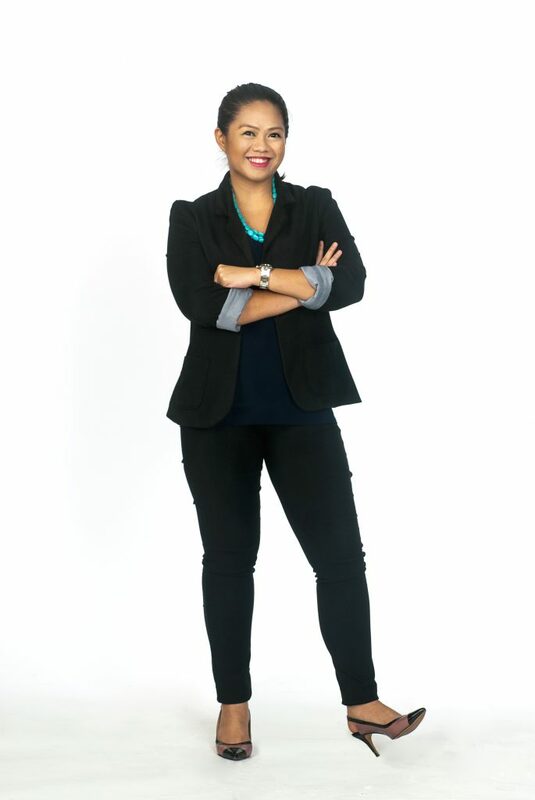 As the Downy Brand Manager, Nicole led the team to turnaround the business amidst a very competitive environment. With strong collaboration with the Downy regional team and R&D, Nicole executed strong campaigns that were uniquely Filipino despite a regional initiative. With the upgraded Downy formula and new variant launch (Garden Bloom), Nicole identified three key situations where the “instant freshness” benefit was most needed – i.e. exposed to pollution, food, and sweat. Nicole was instrumental in the “Rubadabango” campaign, and under her leadership, Downy regained ten months of share loss in less than five months, even hitting its two-year share high. Now that Downy shares had stabilized in early 2014, Downy had to rethink its growth strategy. Nicole went back to consumers and discovered that fabric enhancer was seen as a luxury product and is not regarded as “essential” with laundry detergents reformulating to include fabcon freshness in their products. Nicole worked closely with the regional team and R&D to bring to life the “quick dry” campaign. Nicole led the marketing campaign with executions across new touchpoints: (1) Digital version of the TVC; (2) branded entertainment integration in Going Bulilit using the lovable character “Lucas” from the TVC and (3) maximization of the annual San Juan “Basaan Festival” where the quick dry benefit is highlighted (won a Quill Award in 2013). Nicole’s strong consumer understanding led her to create a Mother’s Day digital video in 2013 that not only became viral in the Philippines, but also in North America despite having kept the original lullaby in Filipino (awarded in the 2015 PANAta Marketing Effectiveness Awards.). Nicole was also instrumental in exploding the premium portfolio of Downy – the Downy Parfum Collection. She created a new go-to-market strategy that elevated the Parfum Collection. Nicole partnered with One MEGA group to launch the black Mystique variant, creating the character of “Lady Mystique” in the first ever “mystery issue” of MEGA (August 2013), with multiple digital webisodes with ~2.5MM YouTube views. The redefinition of the go-to-market strategy led their premium tier to grow ahead of base. It is one of the few P&G Philippines brands that has shown growing penetration in the top SEC households based on Kantar Worldpanel. The Philippines model has also been replicated in other ASEAN countries, most especially in Thailand. Under Nicole’s leadership, Downy has been the growth engine for the Philippines and APAC business, growing strong double digits in back-to-back years. Downy was also recognized as one of the Top Rising Brands in the Philippines in Kantar Worldpanel’s 2013 Brand Footprint Report. Today, as a Country Marketing Manager for Brand Operations, Nicole has brought the corporate CRM platform to life and created low-cost launch platforms. Aside from growing the digital capability, Nicole also successfully led the team to grow the eCommerce business 4x, creating a low-cost digital launch platform for Pantene, Pampers and Olay. This has not only enabled the company to be more targeted in reaching the right consumer, but also providing low cost solutions to achieve (and many times exceed) the same objectives. Nicole has successfully grown and created capabilities by leveraging partnerships and tools in ways never done in the past by the company and continues to lead the way in creating new go-to-market chassis and building the organization capability along the way.